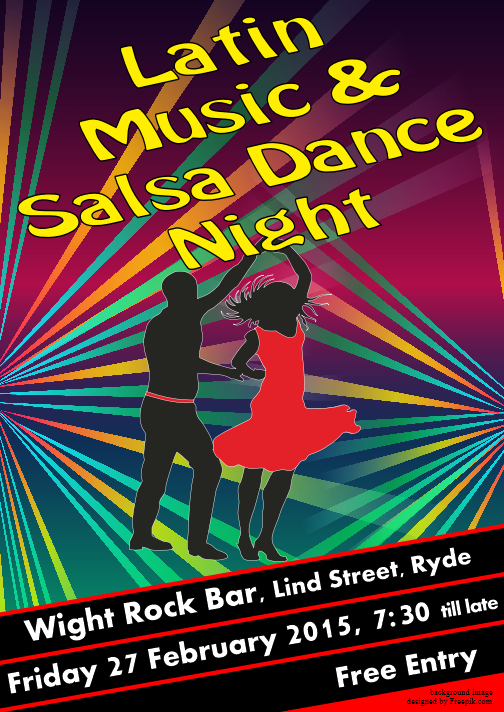 In 2014 we held a number of successful Salsa evenings at the Wight Rock Bar, Lind Street, Ryde, and we are happy to announce we have arranged to be there again on 27 February. The evening will start at 7:30pm and throughout the night sounds of Latin America and Cuba will resonate though the bar. A great opportunity for salsa dancers on the Isle of Wight to come out and party.